Charissa graduated from CSU Fresno in 2004 with her Masters in Physical Therapy. She has spent most of her career in outpatient settings working with orthopedic and sports injuries. Having performed ballet since she was a child, she brings a unique perspective to injury rehabilitation. 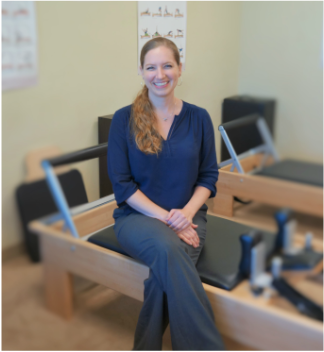 In 2010 she became a Certified Pilates Instructor (CPI) after completion of a year long course with Polestar Pilates, and has been able to add this unique form of exercise into the care of her patients. In 2012 she became a Board Certified Orthopedic Clinical Specialist (OCS) having demonstrated advanced knowledge in the field of orthopedic physical therapy. While earning her Bachelors degrees in Biological Sciences and Dance at UC Irvine she worked as a student trainer which culminated in her becoming a Certified Athletic Trainer (ATC). She has also danced professionally with Oakland Ballet, Black Diamond Ballet, and Anastasis Ballet Company.